JEFFERSON CITY — When the Missouri Baptist directors of missions and their wives gathered for their spring retreat in March, they heard Andy and Kathy Addis, of Hutchinson Kansas, speak of planting multi-site churches in Kansas. Andy Addis graduated from Southwestern Baptist Theological Seminary in the early 2000’s and moved back to his home state of Kansas. A church with the name Westbrook Baptist was struggling along and attendance was declining from a previous high point in the 1980’s. Their name, similar to the radical Westboro Baptist Church in Topeka, Kansas, sometimes raised questions in the minds of potential attenders. 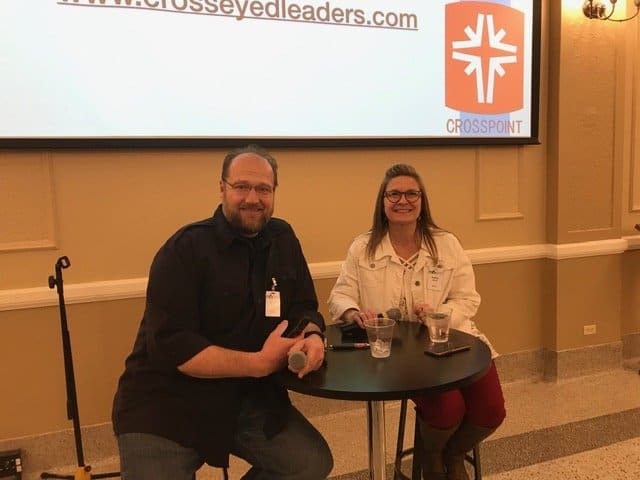 So they changed their name to CrossPoint Church, rebooted with a new location in a former bowling center and renewed their focus on evangelism and outreach. People and churches in other towns begin to notice and were asking for materials and videos. The church agreed to create satellite locations and help with other struggling churches who were having trouble gaining traction. Addis’ messages were sent out through online downloads and replayed on Sundays in several locations. The first satellite location was set up in a former auto parts store in another town. From an original group of 127 attenders in 2002 they now have over 3,000 attenders in 12 locations across Kansas. They have followers in many other locations who use their teaching materials and videos as well. Addis was quick to point out to the Missouri DOMs that his teaching that day was “descriptive but not prescriptive.” He was asked to share their church’s story and multi-site strategy in a rural context, but he cautioned this might not work in every place. Spencer Hutson, the MBC liaison for strategic partnerships, said he thought the DOMs would enjoy the story of this successful network of Kansas SBC church satellites. Kathy Addis spent a couple of sessions dialoging with the wives of the directors of missions. The couple spoke to the larger group after dinner on Tuesday of the retreat, sharing about their experiences in marriage and raising children in a pastor’s home. Addis said their approach to establishing a satellite congregation is pretty economical— less than $5,000. Asked if the rural sites struggled with the technology and the video delivery of the messages, Addis said many rural Kansas farmers are familiar with video, webcasts, online learning as well as cattle and grain commodity marketing services online. “If video works for farmers, it works anywhere,” he said. “We are a video-driven culture. In most venues in the U.S. there are screens everywhere,” Addis said. They have three levels of affiliations in their church network: Level 3 Connections—churches that like to receive their teaching materials but are not interested in becoming a CrossPoint satellite, Level 2 Connections—churches that are considering becoming satellite locations and Level 1 Connections—churches that have merged with CrossPoint and are becoming one of the remote sites. Addis welcomes Missouri Baptists to check out their network and consider if their resources can assist in ministries in Missouri churches. The website is: www.crosspointnow.net.